This Friday we launch the perfect music series to keep you moving, grooving, and feeling oh-so-good throughout the busy month of November! It may be turning gray outside, but here at the Commons we’re BLUE all over thanks to our new Autumn Blues music series. The Autumn Blues series will shine a spotlight on some of Seattle’s best “men of the blues” who also happen to be some of the most popular acts to play the Commons. 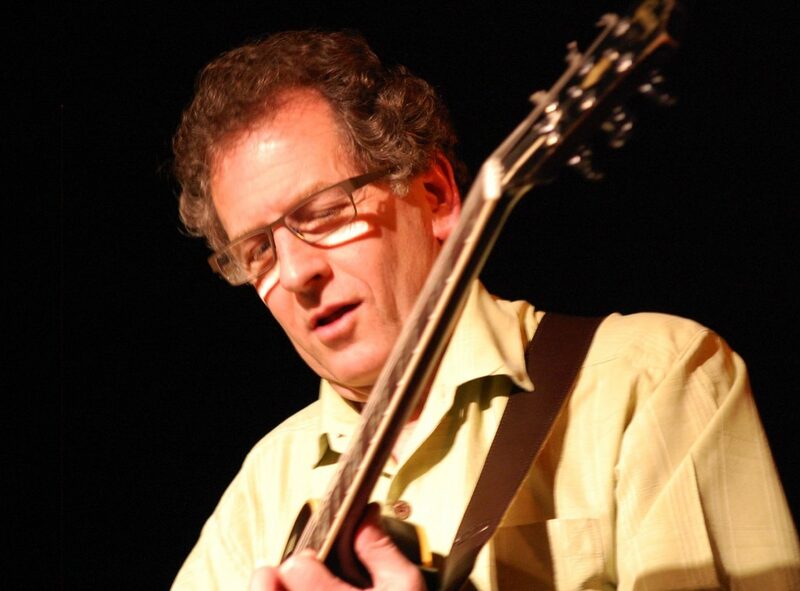 The fun starts Friday, Nov. 2nd at 7:30 PM with the Chris Stevens Band, who combine soul-scorching blues with the technical excellence of top flight jazz to serve up a night of fabulous music and irresistible dance tunes! The Autumn Blues then continue every Friday in November at 7:30 PM. And the series culminates in a grand finale weekend with a bluesy bonus show on Saturday, Nov. 25th. Will there be dancing? You bet! Because when you get the blues this good, sometimes the only thing for it is a turn around the dance floor. 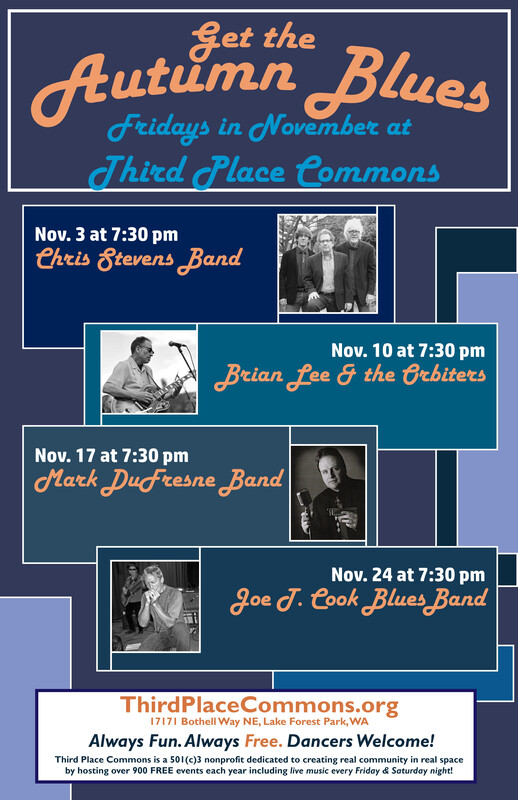 So whether you’re in the mood to groove or just to listen to the sizzling guitar licks and harmonica blasts of some of the best bluesmen in town, you’ll want to be here at the Commons every Friday in November. Of course, there’s fabulous live music every Saturday night as well, and other great, free events happening all month long. So check our online calendar and get yourself here for all the fun. See you at the Commons! Next Post: Special Fall Markets Start This Sunday, Nov. 5th!